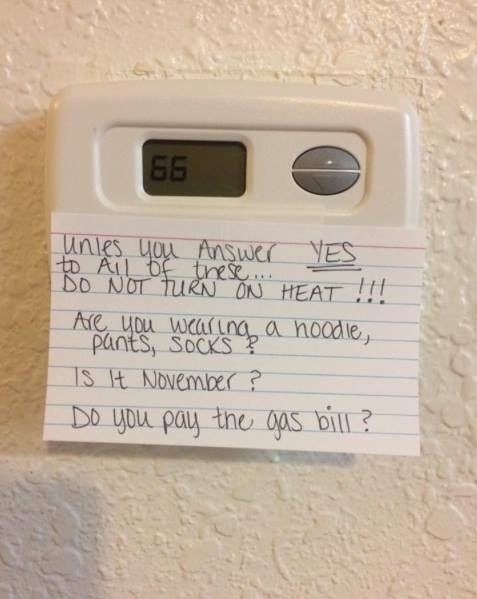 Scared to turn on your furnace? Energy costs from using your heating system are directly impacted by the overall health of your system. Regular maintenance and cleaning is key to extending the life and efficiency of your investment! Call us today to schedule your furnace tune-up – only for $79 (for a limited time)! We treat our customers as a priority. We want your heating and air conditioning system to operate as it should. We want your water heater to provide the hot water you need when you need it. We want you to tell your friends about us. The dedicated and focused staff at High Performance Heating and Air Conditioning will be there when you need us. 24 -7 Emergency Service! 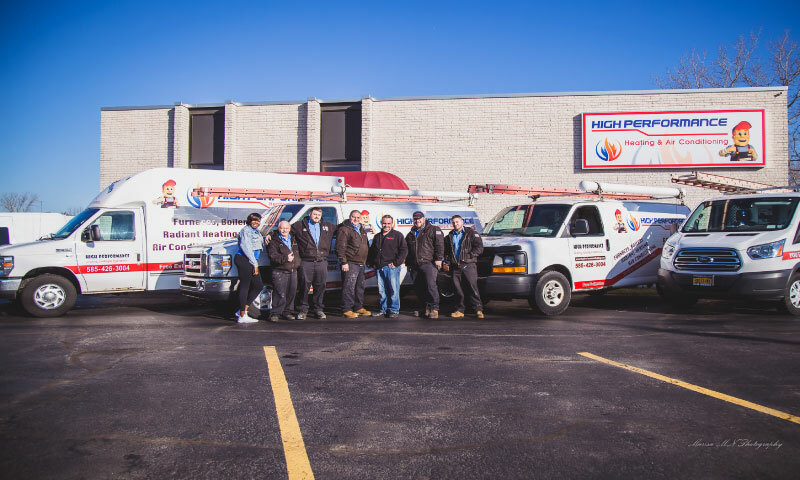 At High Performance Heating and Air Conditioning, we give you peace of mind from the time you schedule your appointment, to the time our trucks are pulling out of your driveway. Even after the job, we still provide follow up calls to ensure that you are 100% satisfied and everything is up to your expectations and your new equipment is registered and under warranty. Our highly trained HVAC technicians strive to provide the best overall customer service experience possible. 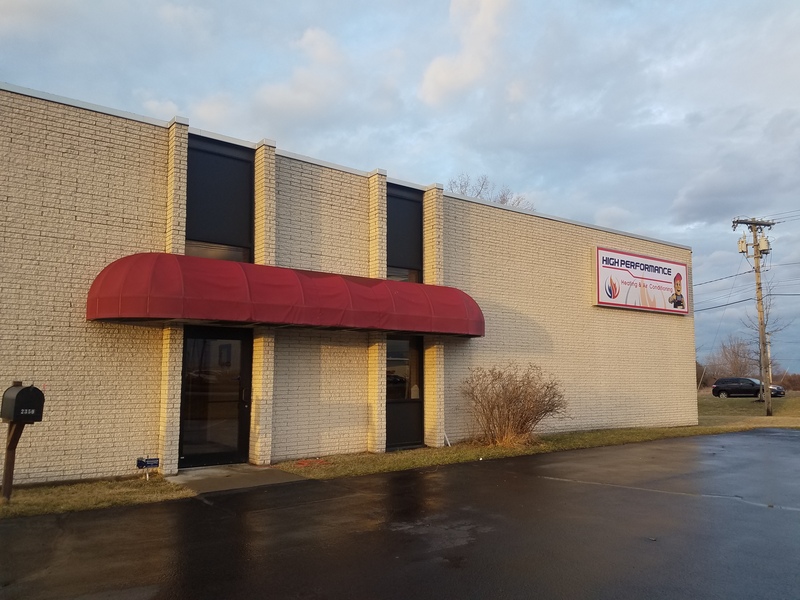 Read some of our reviews and you’ll see why we are Rochester, NY’s superior HVAC company. Call us today and schedule that gas furnace tune-up or furnace replacement and start saving big bucks today! 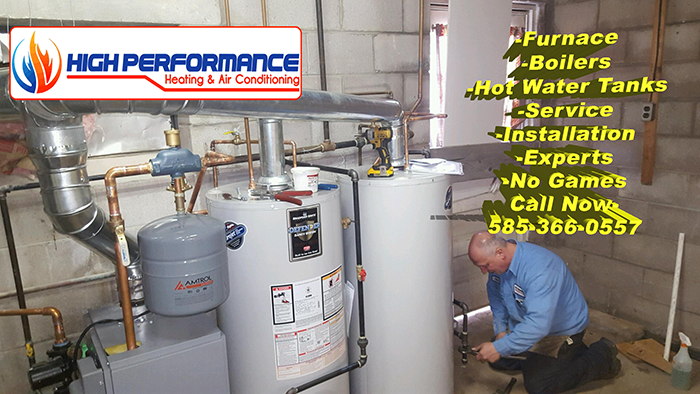 Need HVAC Service or Repair-Or A New Water Heater? Day by day we encounter clients that have been taken advantage of by HVAC contractors. These contractors are selling used or low quality products or do not care how long their furnaces or boilers are going to last. Then when an issue arises, they head for the hills and are no where to be found. Most heating and cooling contractors who do not have values will cut corners every chance they get, leaving you with serious issues causing you to spend more in repairs. When our clients call us, they have peace of mind knowing they are getting exactly what they pay for: Extensively trained technicians performing high quality work, using the highest quality products, with the customer in mind. Our reviews speak for themselves, we have countless clients leaving excellent reviews. Give us a call today (585-426-3004) and experience the High Performance Heating and Cooling Promise. Recently, a client called us about their furnace that stopped working. They needed about $1000 in repairs, our service technician checked their warranty, only to find out that the heating and cooling company installed a used furnace, that only came with a year warranty. Which expired a day before their furnace stopped working. Don’t let this become you, finding a heating and cooling contractor that has values and cares about their clients well being shouldn’t be an option. At High Performance Heating, that isn’t even an option. 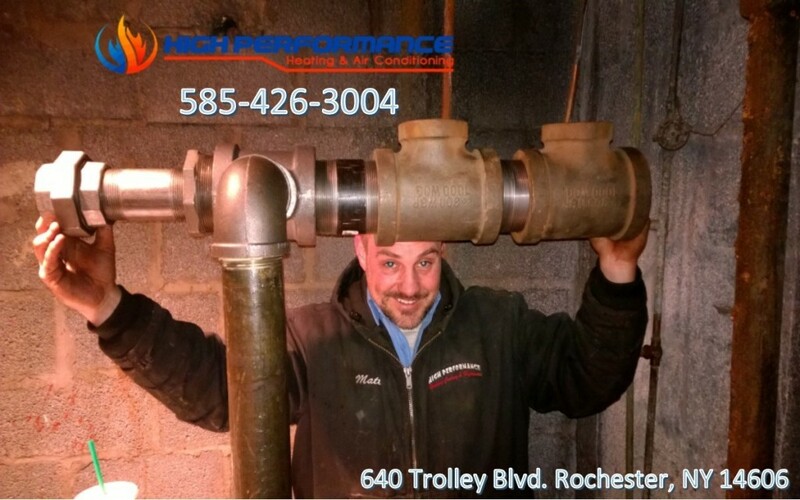 When you call High Performance (585-426-3004) you will get an extensively trained technician that will provide you with the highest quality of work and products. All of our installations come with warranties so you’ll have peace of mind knowing that on the slight chance anything goes wrong, we will be there promptly to fix any issue and call you daily until the issue is resolved and you are completely satisfied; You’ll have a heating and cooling contractor with values in your corner. So give us a call today (585-426-3004) and see why High Performance is more than just a name, but a promise. © 2019 High Performance Heating and Cooling. All rights reserved High Performance HVAC Inc.